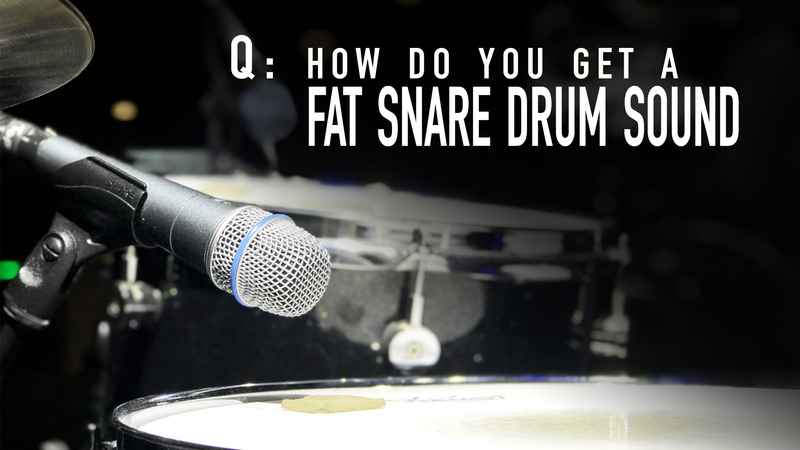 Let’s dig into the snare drum sound today! Our question came from Keld from Denmark! I have a DW Drum kit, with a DW 14×6,5 steel snare drum. Top mic is shure sm 57 and bottom mic is Sennheiser e604, our mixer is a Behringer X32. First off, this is a great question! We need to make sure that the snare drum is first in good order with a good set of drum heads and tuned correctly. If you don’t happen to know how to tune a snare drum, often times your drummer will. It is always a good idea to know a drummer who has a knack for tuning drum kits! 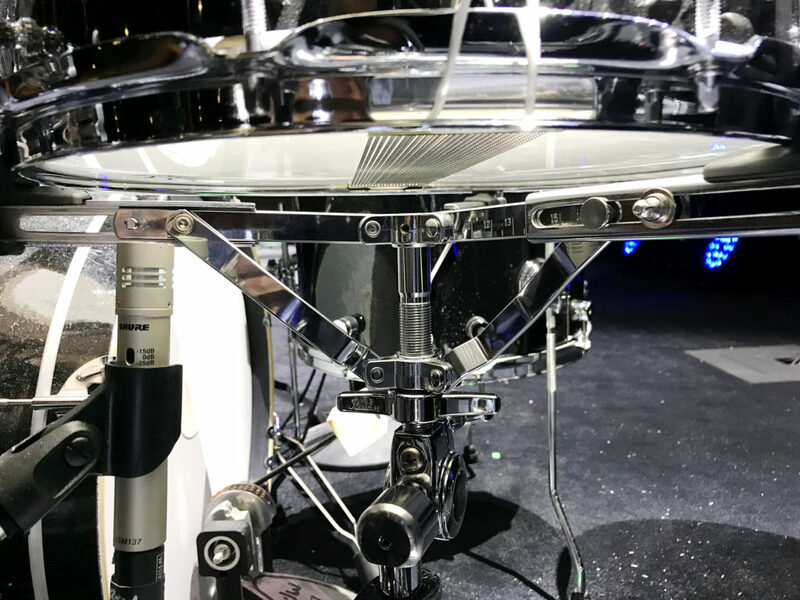 The bottom snare mic is a placement that can get a lot of body from a snare drum hit and typically most don’t think of it like that. Putting the high pass filter (low cut) down at a frequency of around 90-100 Hz is a good place to start with the bottom snare mic channel. Also, putting a low shelf boost of +3-6dB at around 125-200 Hz can help boost a lot of the body of the snare. More important than all of those is the placement of the microphone. 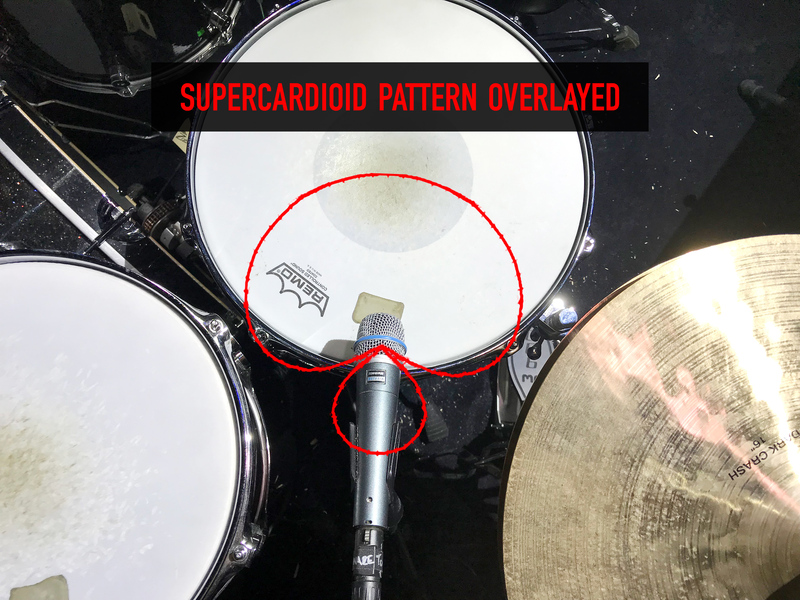 If you have the microphone too close to the snares at the bottom of the snare drum, you will get too much snap and not enough body; if this is the case, move the microphone a bit closer to the part of the drum that doesn’t have the snares. But if you get too much body and not enough snare, you will need to move it back towards the snares. We can also play with the distance away from the head of the bottom snare drum microphone. This will give you a more natural sound, or a more hyped sound. 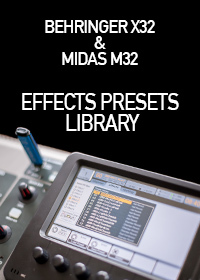 This is due to “Proximity Effect” which boosts the low end of a microphone as it gets closer to a source. I normally use a Shure KSM137 or an Audio Technica AT4021 in this microphone position. My go-to mic placement is about an inch and a half away from the rim, and about 4-5 inches away from the snares. Distance is typically 1-2 inches away from the head. With the top microphone, I would suggest similar settings of the 90-100 Hz HPF (low cut) and the +3-6dB low boost around 125-200 Hz. But on this channel, you will need to invert the polarity. Placement on this is best at a 30-45 degree angle pointing directly toward the center of the top head. I would have the microphone about 1-3 inches above the edge of the snare rim. If you find you need more body to the snare, angle the microphone down a bit more. If you need more attack from the stick hitting the drum, make the angle a bit flatter. We can also play with the Proximity Effect just like on the bottom snare mic. By bringing the microphone closer, we can get a more hyped sound versus taking the microphone away where you’ll find a more natural, less bassy sound. Microphone selection for this position is the Shure Beta 57. 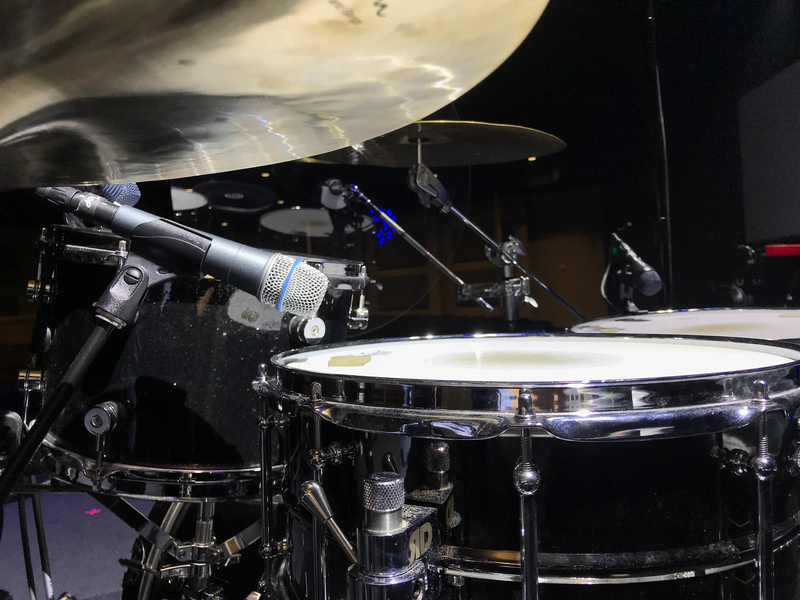 This microphone I love, because of the microphone pattern, you can sneak it in between the hi tom and the hi-hat, the nulls of the microphone happen to be right in the area where those two instruments sit, so we can reduce the bleed! If you don’t have a Shure Beta 57, a Shure SM57 is another favorite by many! We can also lengthen the sustain of the snare drum which would provide more of the ‘note’ of the drum. Typically we would want to see 3-6 dB of gain reduction on the compressor. A good starting compression ratio is 5:1. The attack time will need to be set carefully. Too fast and you squash the sound of the snare hit, too slow and the compressor won’t work! A good starting time would be 20-30 ms for the attack. The release is really where you find the sound of the snare shine. A good starting point would be around 80-125 ms. If you want the snare sound to last longer, make the release a bit longer. My last tip here is to have a softer knee on the compressor. This will allow the compressor to vary the compression depending on the type of hit your drummer is doing at the time. In my job, we are commonly combining louder songs with softer songs in the same music set, so having the ability of the compressor to affect the snare at various volumes really helps. Good stuff Drew! I have always started around 2.5:1 on the compression. I asked a studio engineer how to make sure that the sidestick comes through without killing the regular hits. He said 2.5:1 with a fast attack (20-30ms) and a medium release, which would be right about what you said. The difference is the stuff he didn’t tell me. Like the knee. I have always thought that a hard knee would allow more of the snap. But never really played with it a lot. I have also always flipped polaritu on the bottom mic since it was the only non-kick mic out of phase with the Tom mics. I’ll definitely give this a shot this weekend! God Bless…BTW big day today…Grandkid number 9 being induced today. Prayers for baby, mother and the grandfather who’s gotta work (me) would be much appreciated! Congratulations Paul on the 9th grandkid! That is amazing! I always love using the knee to make my job easier in live settings!